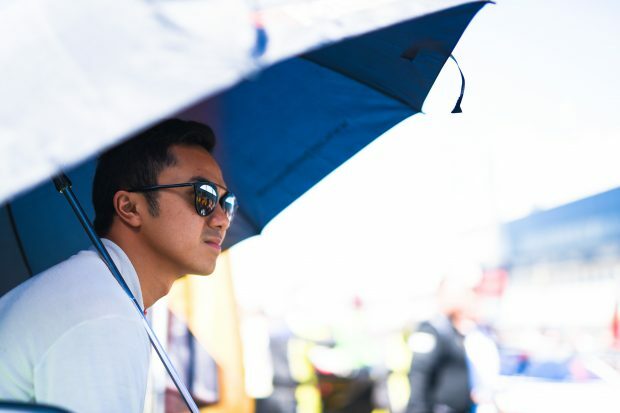 Jazeman Jaafar travels to Barcelona this week, with the final round of the Blancpain Sprint Series behind held at the city’s Circuit de Catalunya this weekend. The young Malaysian driver partners with his regular Sprint Series team mate Clemens Schmid for the finale of the five round championship, with the duo piloting the #85 HTP Motorsport Mercedes AMG GT3. Jazeman heads to the Spanish city after a strong fourth place finish in the final round of the Blancpain Endurance Series that secured him and his team mates second place in the championship. HTP Motorsport lies at the head of the teams standings for the overall Blancpain GT Series Teams Championship and Jazeman is keen to produce a good result this weekend to help secure this title. The Blanpain Sprint Series features a one-hour qualifying race and a one-hour main race, with the driving shared between two drivers. Thirty five cars are due to line up on the grid in Barcelona, with nine manufacturers represented. The practice and qualifying sessions will be next Saturday , October 1st with the qualifying race to set that sets the grid for the main race on Sunday morning at 09.15 local time. The main race starts at 14.10 local time. The races are streamed live at http://www.blancpain-gt-series.com/live. Highlights are shown on Fox Sports Network in Malaysia and Eurosport in Europe. Check local listings for full details.